Prices for the BitTorrent Token have not been badly affected yet by the airdrop, as its USDT price shows on Binance. 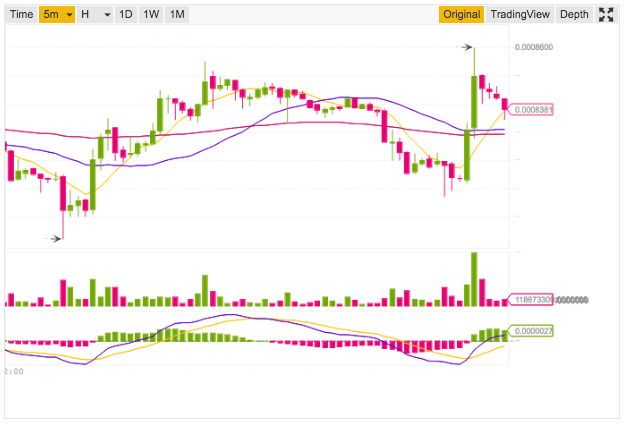 Perhaps some good news for those BTT holders who were wary of a possible dump following the airdrop to TRON users. According to the BTT whitepaper and to the plans of the Tron Foundation, the airdrops will continue for the next six years, all the way to February 2025. This will suppose that out the total 990 billion BTT tokens available, 10.1% will be assigned to the monthly airdrops. Very nice that USDT price is rather stable for several months. Tether will climb higher soon just when the market will become more alive.